Who said a mug should do nothing more than hold your morning beverage of choice? Part one of this collection introduced some unique yet practical mugs, and this installment continues that discussion with 11 more. These innovative coffee and tea mugs help add some perk to your morning routine, and can prove as expressive and unique as you! A strong cup of coffee needs an assertive cup to hold it! What better way to communicate to your boss and co-workers that you are in no mood for cheap conversation? 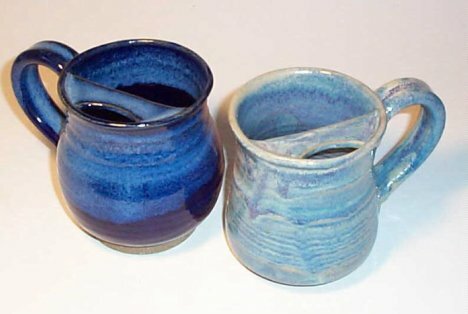 The name “Mug” was inspired the word’s literal translation in Cockney slang, meaning, “fool.” Hit yourself hard each morning with the “Mug”. 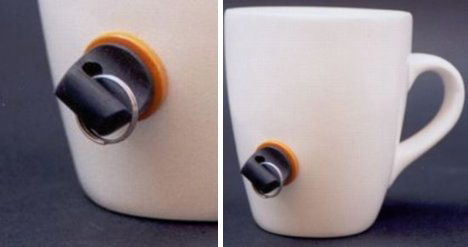 This intriguing coffee mug makes a great project for any coffee enthusiast! 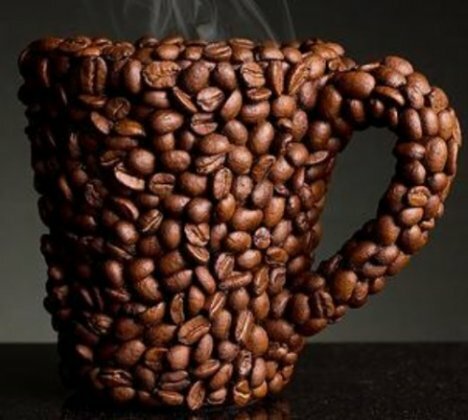 Constructed by hand, a standard mug was carefully covered in coffee beans and glazed for appearance. This project can be recreated by anyone with some time and care. Simply choose a mug for a skeleton, a shade of coffee beans and begin carefully adhering them to the mug, attempting to remain true to the mug’s original shape. Before long, you’ll have a coffee mug that is sure to incite conversation wherever coffee is poured. If you are tired of having to dump out half of your coffee because you simply can’t drink it all before it cools down, this mug could be the answer to your prayers. The SmartMug is an electronic travel mug that plugs into your car’s cigarette lighter and keeps your coffee hot at your specified temperature! Perfect for that long morning commute where traffic frequently causes your coffee (and you) to loose steam before you even get halfway to work. A digital screen displays the temperature and various other information. 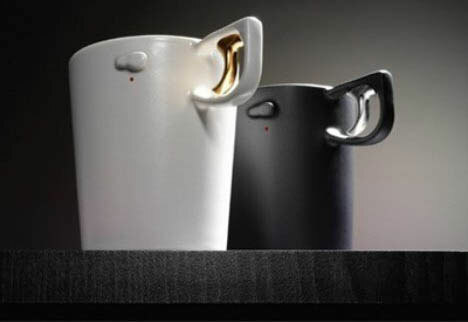 Lights on the mug alert you that your coffee is either heating or at the desired temperature. Its like taking your coffee maker’s hot plate on the go! Stay warmer, longer with the SmartMug. Now here’s a collection of mugs to brighten up any morning! Those who work in the interior design field can now express their love for pantone colors with this collection of coffee mugs. 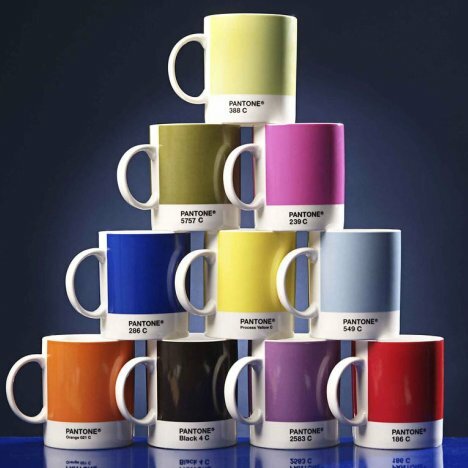 Each mug is colored and coded with its corresponding pantone color specification. Use them as they relate to your current job or project. Bring the entire collection to your next job for inspiration and laughs. Any fan of photography would be proud to pour themselves a tall cup of coffee into this amazing mug. 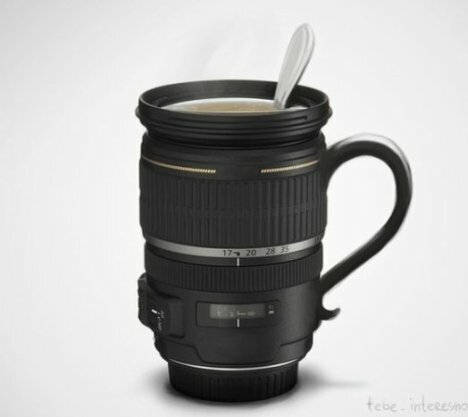 Constructed from a real zoom lens, this mug is both intriguing and charming. At the moment, this mug is concept with few in actual existence, however we may soon see them on shelves, ready to be snatched up by photographers everywhere! What better way to assert one’s love for your hobby than to drink out of a mug made from the tools the trade? 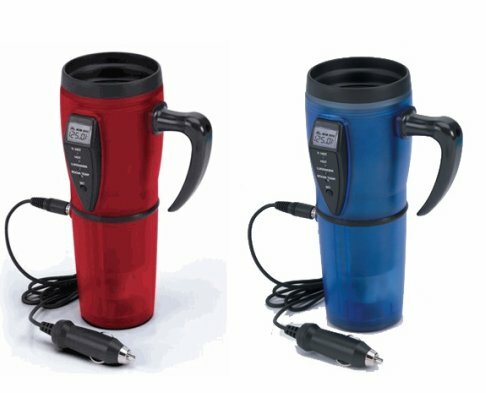 Had enough of your friends or co-workers using your coffee mug when you aren’t around? Worried about the health risks of sharing cups? Finally, a coffee mug with security! 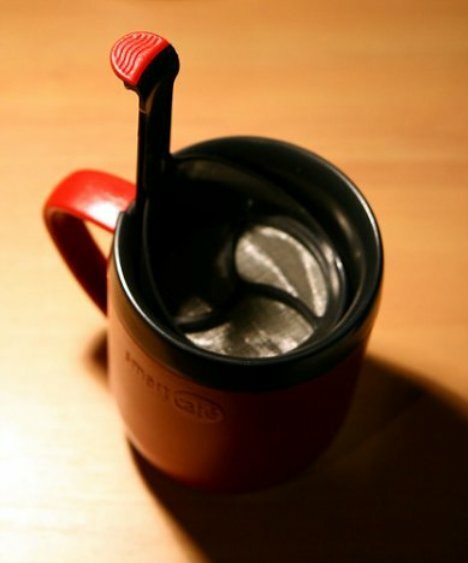 A hole at the bottom of the mug that can only be plugged by the mug’s key-holder serves to prevent anyone but it’s owner from using it. Try pouring coffee into it without the key to plug the hole and you’ll have quite a mess to clean up! 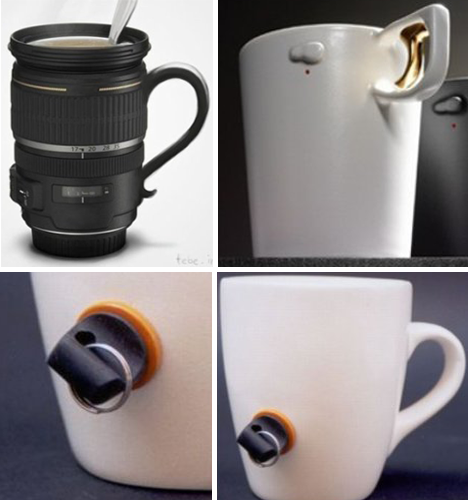 Kill time with this innovative coffee mug! Sporting a trigger and lever that feels like that of a large revolver, it has never been easier to shoot the breeze at the breakfast table! 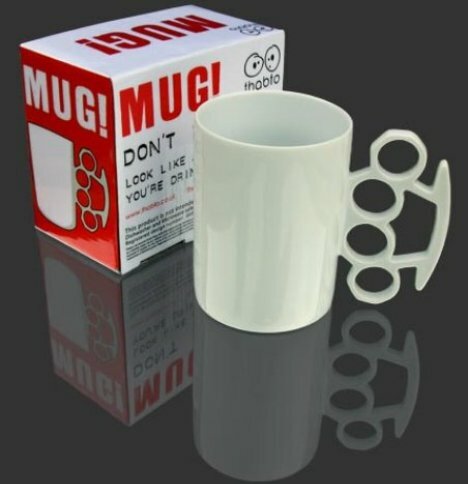 You’ll have endless fun asking a coworker or friend if they “feel lucky, punk?” as you maintain a tight grip on the mugs firm and comfortable handle. This unique mug is sure to please any gun enthusiast or just help you feel a bit more like John Wayne in the morning! Sniper scopes sold separately! As any man with a bushy mustache knows, the morning brew is often no cup of tea! Many have struggled to find a way to drink their coffee or tea without also wearing it. This question need no longer be asked, for the Mustache Mug takes saves your facial hair from contact with scorching hot beverage. Featuring a mustache shield at the drinking end of the mug, beverages can be easily consumed without the constant wiping that comes with standard mugs. Perfect for consuming coffee during a meeting or on the go where dabbing your upper lip with a napkin after every sip is simply impractical! Some people need a little extra push to wake up in the morning. Available in both “His” and “Hers” versions, the more you drink the more of the naked woman/man you see! What more motivation to drink your coffee fast could you need? After drinking your coffee faster than ever, you’ll find yourself awake and ready to conquer whatever the day brings! “Undress Me” mugs are a great pick me up for those sluggish mid-week mornings and the ultimate cure for the slow-starter! Have you ever dreaded that long walk to the trash to throw away your spent tea bag once all its contents have been strained into your tea? Tired of leaving tea-bag stains on the table or desk because you don’t want to put the paper down and leave your breakfast to dispose of said tea bags? This mug is perfect for avid tea drinkers, sporting a handy pouch on it’s side made for holding spent tea bags for as long as needed! No more messes to clean or tea bags to be thrown out of your speeding car. This handy mug makes the morning wake-up a little more comfortable. A perfect tool for those busy professionals who are always on the go, a mug that makes your coffee and holds it all in one! Simply raise the plunger, add the coffee and hot water stir and then plunge it down. Add milk and sugar to your preference and you’ve got a steaming cup of Joe in minutes. No more waiting for the percolator to brew up a pot while you wait! Add an extra 15 minutes to your morning sleep with a plunger mug.